Stapleford Flight Centre uses the ALX FNPT2 MCC Simulator. It’s a generic jet model that has many features from both B737 and A320 type aircraft. Features include twin FMC, CDUs, weather radar, TCAS etc. Stapleford Flight Centre is one of the first flight training schools in the UK to offer the new Airline Pilot Standards Multi Crew Cooperation Course (APS MCC). The course has been introduced by the European Aviation Safety Authority (EASA) to deliver enhanced MCC training incorporating the Jet Orientation Course (JOC). Colin Dobney, Stapleford’s Head of Training said, “This new course is designed to prepare pilots better for jet type rating courses. “Already some major airlines are indicating a preference for recruiting pilots equipped with this APS MCC. It will include advanced swept-wing jet aeroplane training and advanced airline operations scenario training and is designed to prepare pilots to operate a medium narrow body jet aircraft. 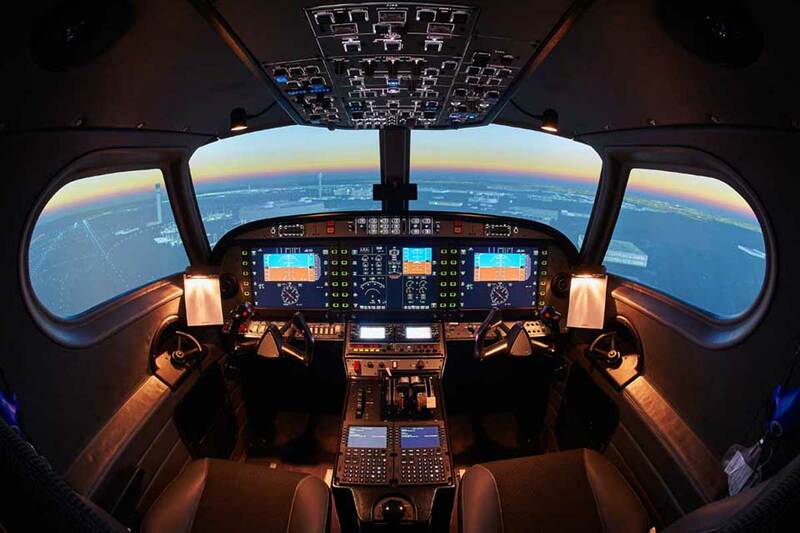 “Stapleford is particularly well placed to deliver this new and more advanced training, using our state-of-the-art ALSIM ALX medium jet flight simulator, which although generic has many of the features found on Boeing and Airbus jet aircraft. The first of the three-week courses starts on 29 October and the second course on 3 December. The training extends from the current 20 hours for the MCC to 40 hours of simulator training with ground school increased from three to five days.